It’s TIME to to start making your Holiday Gathering plans and this year be sure to add our fun festive PAPER STRAWS to your BEVERAGE BARS..!!!! 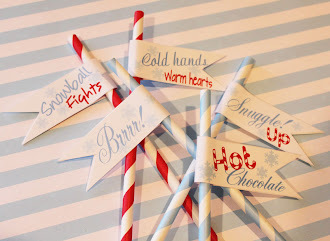 Our Paper Straws are SO darling when MIXED with other Holiday items…Keep them handy by poking them in mugs to enjoy out on your counters EVERYDAY…!!! Why wait for a party..!!! 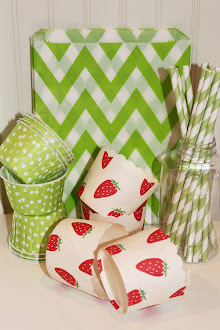 Look how pretty our Red Striped…Green Striped…and Red Polka Dot Paper Straws look with our Party Favor Bags...Below are our NEW GREEN GINGHAM Check Favor Bags….with our Red and Green Polka Dot Treat Bags…!!! DOTS…..STRIPES….and….. CHECKS….!!! 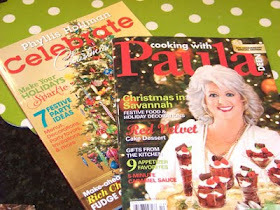 LOVE our SANTA SUIT Favor Bags….. 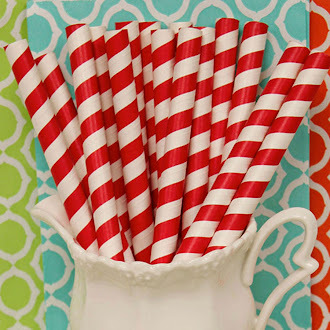 They look great with our Black Striped Straws and Party Bags…. 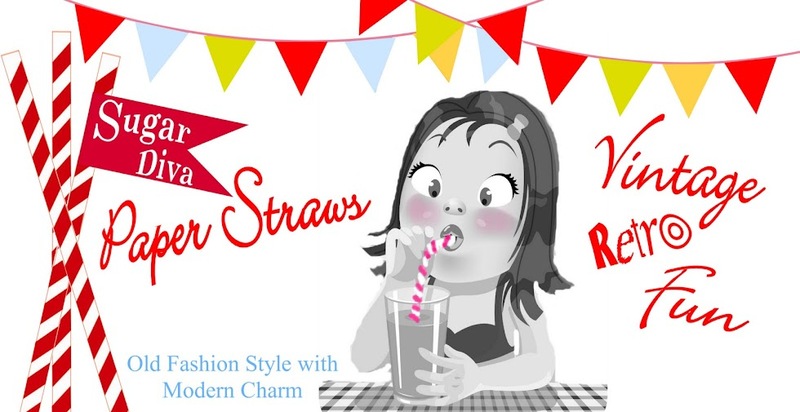 Hope I’ve inspired you a little to grab some of our fun, cute, retro, vintage style, Earth Friendly, PAPER STRAWS……. 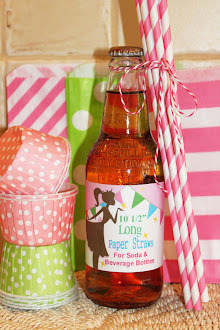 www.thesugardiva.com and come back SOON for more Sippy Stix Paper Straws ideas and themes to use at your next gathering…!!! Because you never out grow a Sippy Stick…!!!! Stop by A CREATIVE SPIRIT today... I left you a little surprise gift. 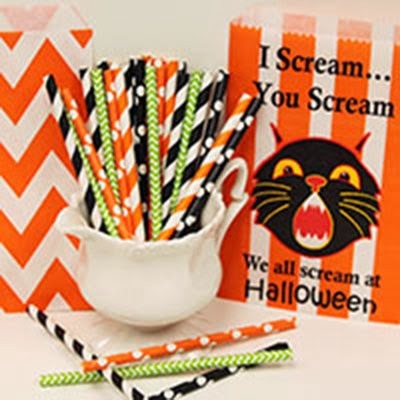 Shop The Sugar Diva Halloween Shop for spooky and fun paper straws, treat bags, cupcake sprinkles and other fun party delights. 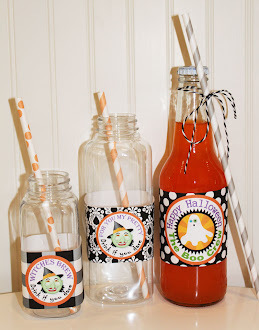 You will love our NEW PLASTIC MASON JARS that fit our Daisy Cut Mason Jar Lids to dress up your party beverags. 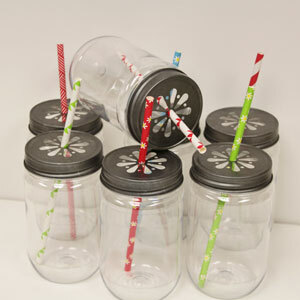 Just poke your paper straw right inside.These charming pewter lids will fit any size jar with a standard opening. 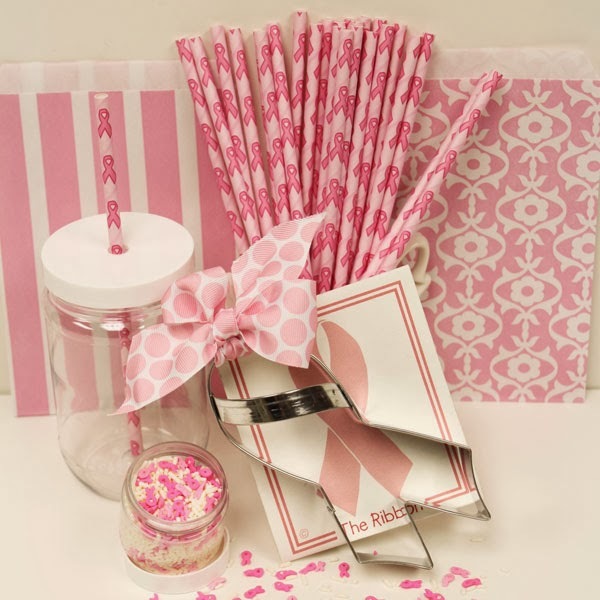 Shop our sweet Pink Ribbon Breast Cancer Awareness Paper Straws , Cookie Cutters and Cupcake Sprinkles for your PINK PARTIES and Events. Shakes and Smoothie Straws for sipping your favorite extra thick ice cream treats and drinks. 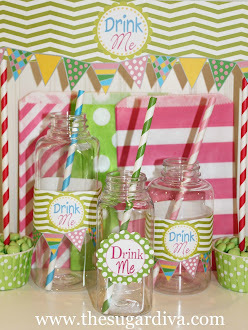 Darling little Beverage Bottles for serving Pink Lemonade, Sweet Tea, Cold Milk and other favorite party drinks. 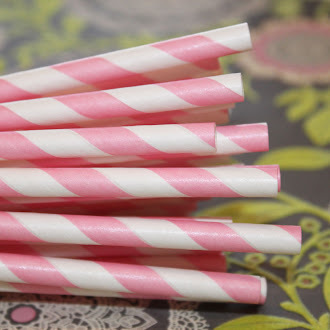 Sweet stripey straws in Pink and Yellow makes a sweet charming combo when mixed together for fresh squeezed lemonade..
Now availbe in 8 colors, our new LONG SODA BOTTLE Paper Straws. No more straws falling down inside your drinks. 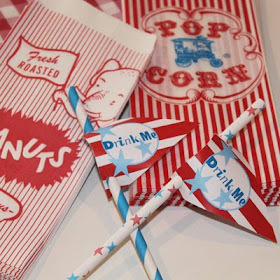 Our cute peanut and popcorn bags and these DIY Printable Straw Flags for you to print and make yourself. 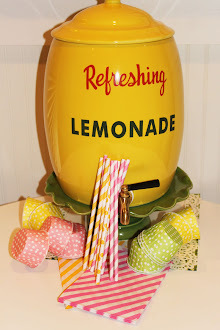 An adorable way to add a fun festive touch to your next summer event. 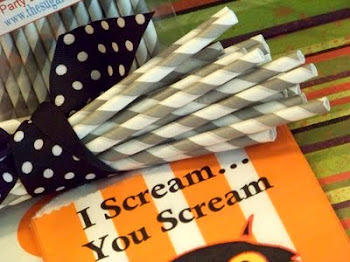 For a perfect Party Pack, mix our Paper Straws, Party Favor Bags, Nut / Candy Cups together for a perfect party collection. 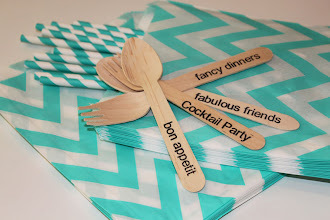 You'll love our designer party favor bags to fill with goodies for a perfect "Take Home" gift for your party guest. 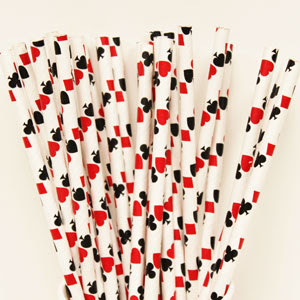 Use these with our colorful paper straws to your drinks. 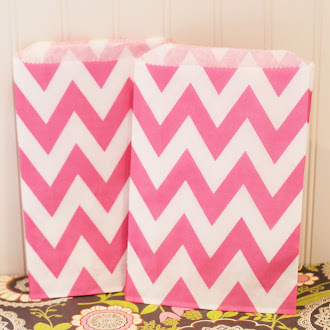 Our trendy and stylish Chevron Stripe Favor Bags are perfect for using at your Candy Buffets. Check out all the colors on our web site. You'll also find other new bag designs there for weddings, graduation, baby showers, event and more. 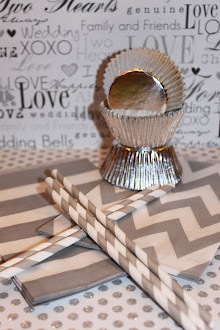 Beautiful CHEVRON STRIPE BAGS, GREY STRIPED PAPER STRAW, and SILVER CUPCAKE PAPERS.....the perfect WEDDING COLLECTION, for BRIDAL SHOWERS...!!! Our new trendy CHEVRON STRIPE favor bags are perfect for filling wih candy, cookies, popcorn, nuts, fudge, gifts, suprises to give to your party guest as take home favors..!!! 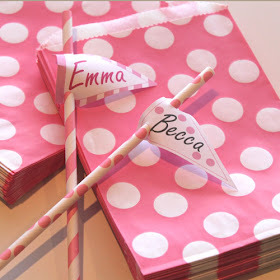 THE PAPER STRAW BLOG is where you'll find fun ideas and creative ways to use our designer PAPER STRAWS ...... We'd love to see YOUR PICTURES of how you used our cute straws. 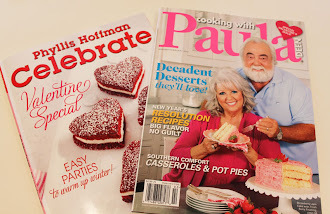 They could be chosen to share with our friends right here on our PAPER STRAW BLOG.